Rohschinken - What Is Raw Ham? Rohschinken (lit. raw ham) is ham which has been preserved through salting or curing (with pink salt) and then air - drying or smoking. The meat cures or "ripens" through an enzymatic process brought about by the presence of lacto - acid bacteria ("Milchsäurebaketerien"). It becomes softer and develops a typical aroma. See also "Kochschinken" for country-style hams. Luftgetrockneter Schinken - air - cured ham - is often produced in southern European countries where the climate is conducive to slow air - drying. So-called "Parmaschinken," or Prosciutto di Parma, is made in Italy and is lightly cured in sea salt for 100 days at cold temperatures, washed, then air dried for a year, losing one-third of its weight in the process. Parmaschinken is known for its mild smell and taste. Often served as an appetizer in very thin slices wrapped around melon pieces. Serrano ham is made like Prosciutto but is usually spicier. Bundnerfleisch is a Swiss specialty of cured and air - dried beef (see this NYT article here). Westphalia Ham - the meat stays on the bone throughout processing, giving it a specific character. Westfälischer Schinken has been produced since the early Middle Ages. The pigs were fed on acorns from the forests in the area. The meat is dry cured and hung to dry in front of the fireplace, also called the "westfälischer Himmel" or ham heaven. It is then often cold-smoked for 3 to 5 months over beech wood. It turns dark red with a golden fat layer. Several more months of a drying finish the process. It is traditionally served with white asparagus. Black Forest Ham or Schwarzwälder Schinken - a specialty of southern Germany, Black Forest raw ham is cured, dried, smoked over pine wood and aged further. The rub contains garlic, coriander, pepper and juniper berries. It has a strong aroma and black-brown skin. 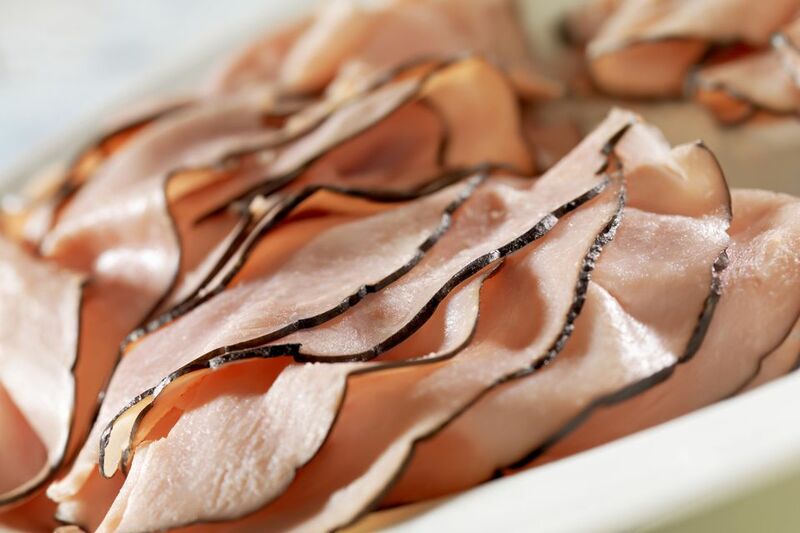 Holsteiner Katenschinken is a northern German specialty whereby the ham is cured in a dry rub of salt, sugar, and spices for six to eight weeks, then cold smoked over juniper, beech or oak wood in a north German "Kate." Traditionally, the hams were hung in front of the open fireplace in the cotter's house or "Kate." The smoke from the kitchen fire smoked the ham over several weeks. When the fireplaces were finally outfitted with chimneys, special smokehouses called "Katen" were built to continue the tradition. Katenschinken has a strong, sharp taste and is the color of mahogany. It is used for Schinkenbrot (a type of Butterbrot) as well as Strammer Max and alone with "Pellkartoffeln" and white asparagus. Some people like to add freshly ground, white pepper before eating. Ammerländer Schinken from Lower Saxony. Brown sugar and sea salt together with pepper, allspice, and juniper berries are used in the cure. Beechwood smoked, it is then allowed to age for several months up to two years. Sometimes ham of the same name is not smoked. Nussschinken is a small ham cut from the "Nuss," the muscle in front of the knee. It is very lean and is prepared by curing and cold smoking. It does not have a designated area or spices. Lachsschinken (lit. salmon ham) is not salmon, nor is it meat from the hindquarters of a pig. It is a loin which has been prepared like ham or Rohschinken. It is very lean and the color of salmon, with a lightly salty flavor.